A frosty morning a the track! 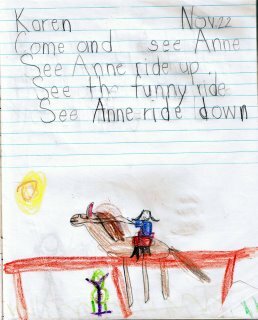 I'm in Calgary at the moment, doing a bit of research for a new non-fiction book called, "Behind-the-Scenes at the Racetrack." The book will be published by Fitzhenry and Whiteside as part of a series. My fingers were a little chilly after spending some time hanging out at the rail, but what fun to watch the horses in training being exercised! Sometimes the exercise riders look more like trick riders! 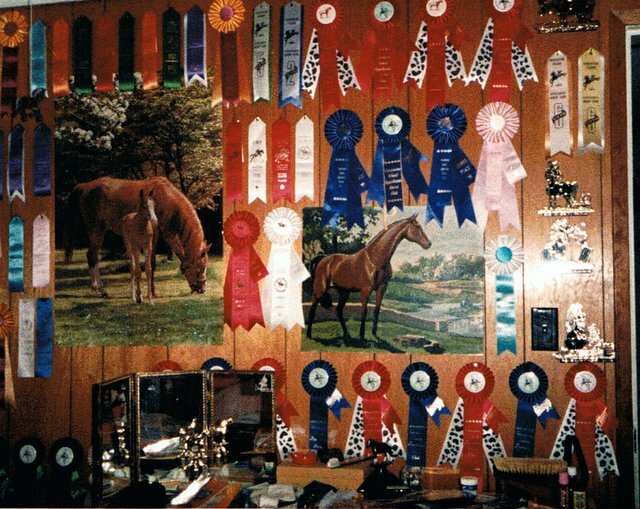 As promised on my other blog, here are a couple of scans from Karen's childhood papers... As you might expect a completely horse-obsessed teenager, every inch of Karen's walls was covered with horse-related paraphernalia. 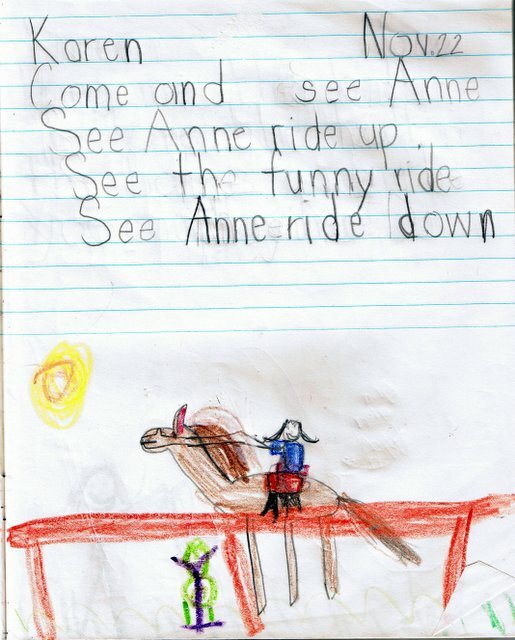 Even in Grade 1, Karen had horses on her mind. Iago - enjoying a moment in the spring sunshine. "Hello? Hello? Anybody out there?" "Yes, there was a sophisticated poodle in there somewhere..."
"Do you really expect me to get off the couch to have my photo taken?"